UK digital-terrestrial platform Freeview is to expand its TV guide, moving kids and new services to new channel numbers of September 3 to create capacity for up to 99 general entertainment channels. Channels 70-76 in the Children’s genre will move to 120-126, and News channels 80-85 will move to 130-135 on the Freeview TV guide. Changes to channel numbers will be picked up automatically by some Freeview TVs and boxes, while others will need to be retuned to get the updated guide. On-screen messages will prompt viewers to retune on or after mid-afternoon on September 3. “This update to the TV guide will create the room needed to bring even more great entertainment to Freeview viewers. 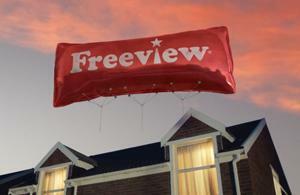 We are urging viewers to retune to ensure they can still watch their favourite news and children’s shows without missing out on exciting new services,” said Guy North, managing director of Freeview.